Mr. Benjamin is a philosopher with extraordinary ideas. But when his country begins punishing people for being different, he must escape. Over hills and valleys he trudges with a heavy suitcase. What could he be carrying? 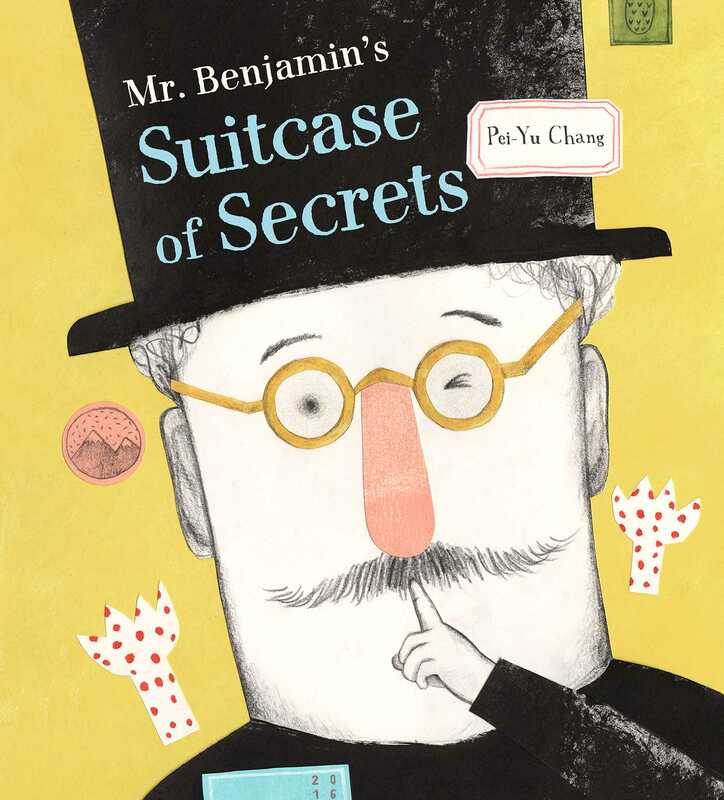 A compelling story, beautifully illustrated by Pei-Yu Chang, about the importance of personal freedom and the distances we go to protect them—based on a true story of Walter Benjamin. Chang’s playful telling is attuned to children’s sense of justice, as well as their ear for the ridiculous. She focuses on the heroism of Lisa Fittko, who led refugees to Spain, and on the never-solved mystery of what was inside the suitcase Benjamin lugged with him. Her stunning mixed-media art is whimsical and serious, like childhood itself.